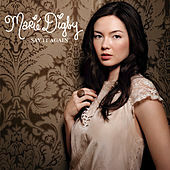 Marie Digby began her career with a handful of moves that might be unconventional relative to the history of popular music, but that are becoming rather mundane in this day and age: First, in 2004, she won a talent contest (the Pantene Pro-Voice Music Competition), which earned her a recording contract with Hollywood Records. Then, in 2007, she put a video of herself performing an acoustic cover of Rihannon's "Umbrella" up on YouTube, which garnered thousands of hits and got Digby's name out in a way her record deal had yet to do. Finally, the piece de resistance: Digby's version of "Umbrella" got played on an episode of The Hills. And that, friends, is how you go from being a young girl from L.A. with some piano and guitar lessons and a year of philosophy classes at Berkeley under your belt to putting out a hotly anticipated debut album (2008's Unfold) and getting called the next Colbie Caillat. At least in the new millennium.